Every pair of Strive orthotic sandals can help relieve the aches and pains associated with plantar fasciitis. This is because every pair of our orthotic sandals for women incorporates our pioneering Biomechanical Footbed Technology. It's shaped to match the natural contours of your feet for optimum orthotic support. HOW DO STRIVE ORTHOTIC SANDALS HELP RELIEVE PLANTAR FASCIITIS? Unlike flat footbeds, the Strive orthotic footbed follows the same natural shape of your feet. This provides optimum support and holds your feet in a natural position to help minimize excess strain on the plantar fascia ligament. A deep cup cradles your heel to help absorb shock and minimize the impact and pressure you put on your heel when you walk. This can ultimately help alleviate pains associated with plantar fasciitis. WHAT MAKES STRIVE ORTHOTIC SANDALS DIFFERENT? Unlike other brands, Strive footwear inherits a medical background within the custom orthotics industry. 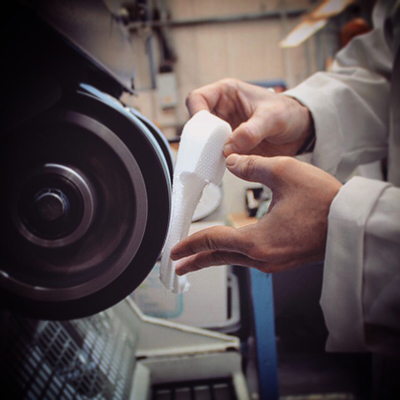 We have worked closely with thousands of leading UK podiatrists over four decades to perfect our unique orthotic footbed technology to ensure optimum comfort and health benefits. Thousands of pairs of Strive footwear have been purchased by podiatrists from across the world and our orthotic sandals for women have been granted the APMA seal of acceptance.